Two people are dead after a hit-and-run crash at the intersection of N. 34th Street and East Lake Avenue in Tampa late Sunday night. The suspect is currently being questioned. According to police, at approximately 11:23 p.m., Tyronda Sampson, 23, and Michael Wimbley, 28, both of Tampa, were traveling east on East Lake Avenue in a 2003 Chevy. As they entered the intersection of North 34th Street, a 2003 Infinity collided with their vehicle. 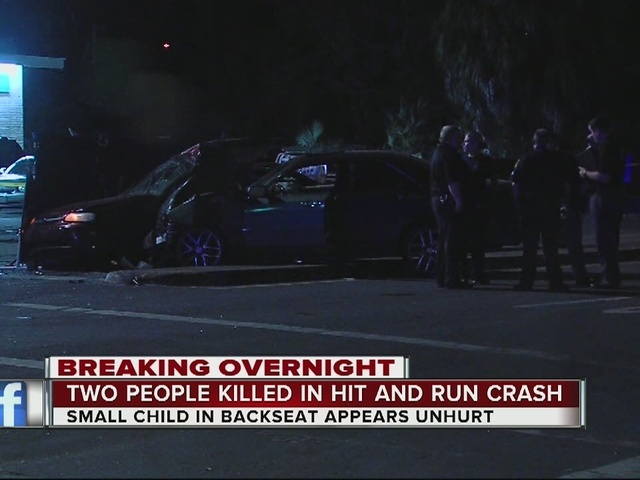 The two victims were killed instantly. 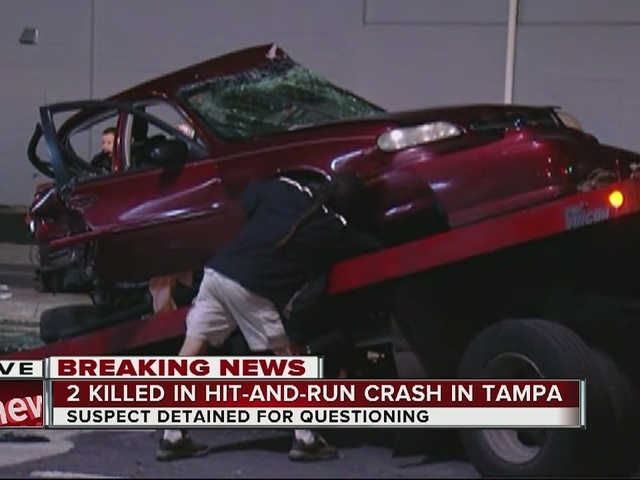 The driver of the Infinity, Rico Taylor, 35, of Tampa, got out of his vehicle and ran from the scene. Responding officers arrested the man a short distance from the scene. Taylor has been charged with two counts of leaving the scene of a traffic crash involving death and driving while license suspended. Police say alcohol is suspected to be a factor in the crash. Blood alcohol content test results are pending. A 3-year-old child was riding in the vehicle with the victims. The child was uninjured in the crash but was transported to the hospital for observation. Tyronda Sampson was the mother of the 3-year-old child. The intersection of N. 34th Street and East Lake Avenue reopened just before 6:30 a.m.